I have seen people searching for ‘How to get Android Pie, Oreo, Marshmallow or Apple iOS and even Sony Xperia Status bar or Navigation bar?‘ First let me get this clear, customizing your Smartphone’s system files requires Root Access. Today, I’m here with a trick to customize your Status Bar & navigation bar with a single click. Get any Android phone’s looks like Xperia, Nexus, Samsung even Apple IOS. I think this might be the simplest way to do this; for the people who don’t want to end up bricking their phone. I personally use this on my phone as its Simple, clean & easy to apply. Generally if you search for status bar customization, everyone would suggest to edit your systemui.apk, framework.apk & other technical stuffs. What if you don’t want to mess with the technical & you want to do this in few clicks? I found this App, XStana which is not mentioned on the internet as many of the people are not much aware about any such app. So, let’s begin with customizing Status Bar in Android! Step 1. First of all you need to root your Smartphone which will void your warranty, so think before proceeding with this customization process. You can root your smartphone with any suitable method for your device mentioned on web. Step 2. Now, once you have rooted your phone check for root access using any Root checker app available on Google Play Store. 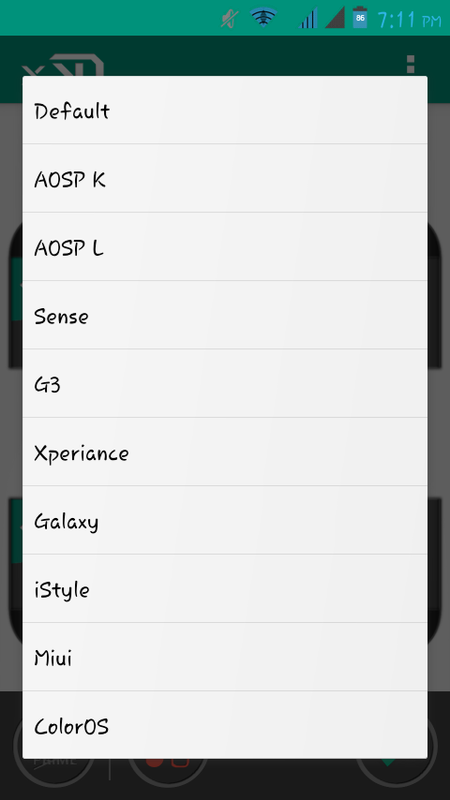 So, you have proper root access download the below App named as Xposed Installer . After downloading, install the App on your phone. Once the app is installed, open Xposed App & Grant Root Access. Click on framework> Install/Update & Reboot your phone. Step 4. This is my phone’s (I had this in 2014 :P) screenshot before installing all this App i.e without any customization. It’s running on Android ICS 4.0.4. It’s Nova launcher as you can see i have not customized anything & running stock ROM. 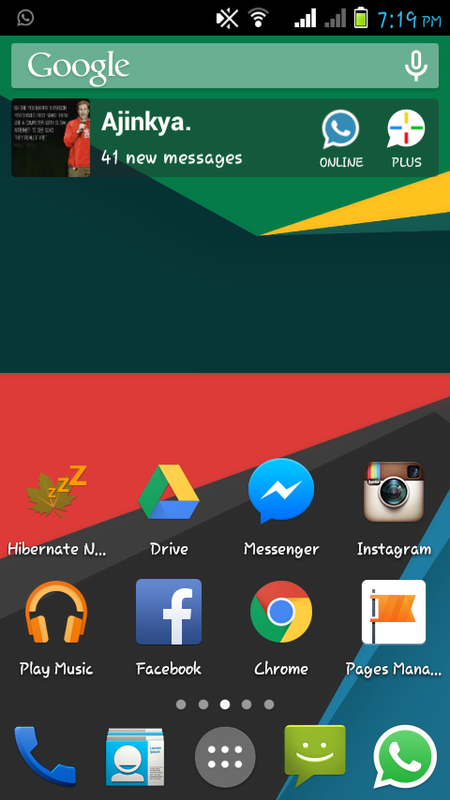 The Status bar is of Stock Android & i don’t have navigation bar (I have Hadware buttons). Step 5. After you have installed Xposed App, launch the app & Goto Module Option available on the main screen op App. You will see a screen some what similar to this without the Greenify & Tinted Statusbar. Just check the box in front of Xstana module as you can see in the image given. After this reboot your phone. Step 6. After enabling the App as in Step 2. 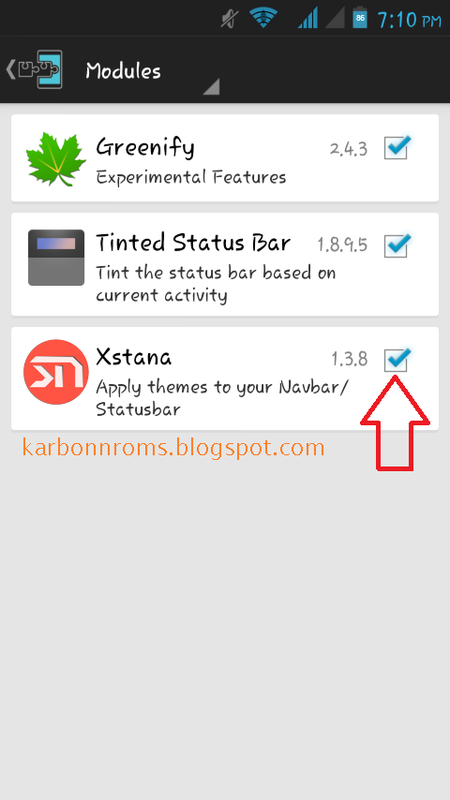 Open Xstana App that you have installed before. You would see a screen somewhat similar to this without the Arrows. I have made things clear in the image that the first option is for Selecting Status bar & second is for navigation bar. Step 7. 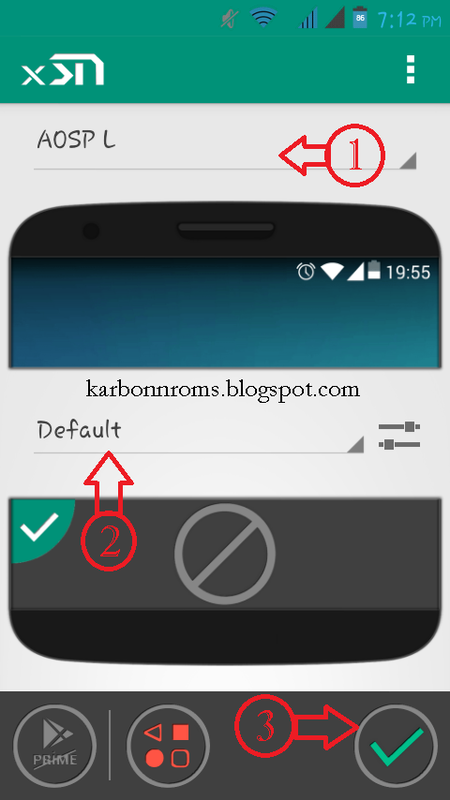 The navigation bar option works only if you have Navigation bar on screen as in Nexus, sony, LG, Titanium S5+ etc. This is the free version of App but it has enough option for us. The second image is of the Status bar option as you can see the Options it has so many Status bar themes which you can apply on your phone in just single click. Step 8. After Selecting the desired theme of Status bar(1) & Navigation bar(2) from the options given click on the Correct button denoted by Number 3 in the image. Now reboot your phone & you are done. I Hope this method worked for your phone. 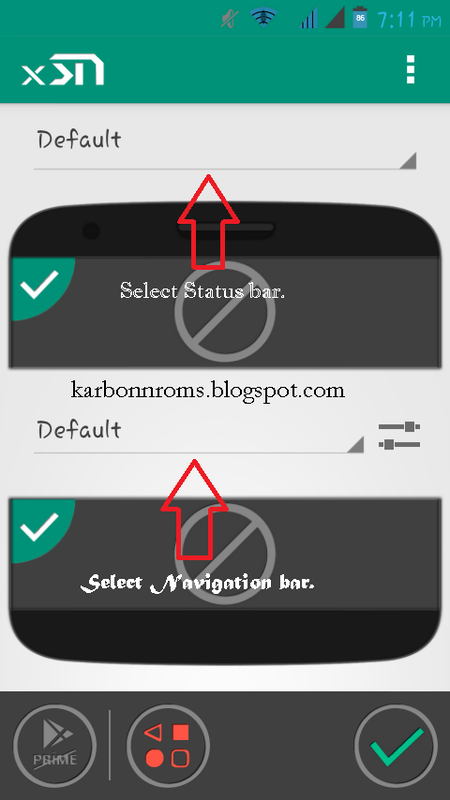 Finally, there is a working method for customizing your phone’s Status bar & navigation bar in single. Please share this post so that your friends can use this method to customize their phone to a complete new look. If you find any difficulty in any step you can ask me below. Any feedback or suggestions are welcome in comment section. Have a good day !